ANALYZE YOUR PORTFOLIO, IDENTIFY OPPORTUNITIES, TRADE WITH CONFIDENCE. 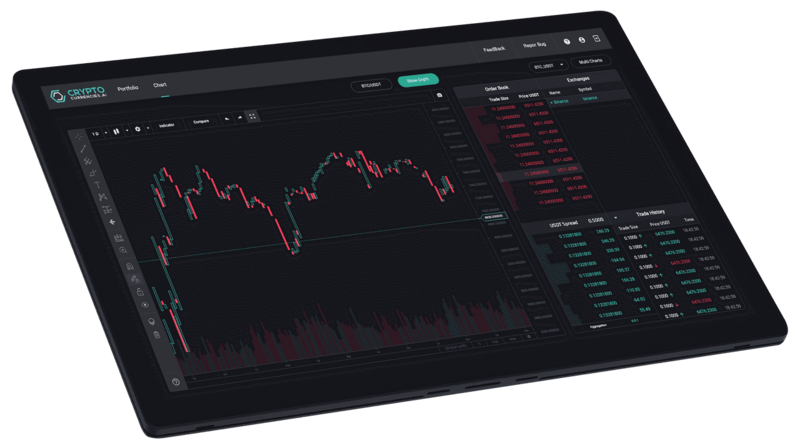 Single platform for informed decision making when trading cryptocurrencies. 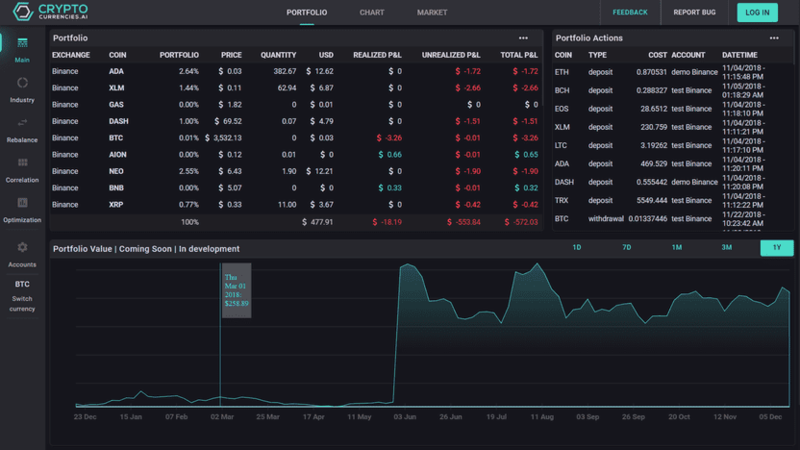 Our beta provides advanced portfolio management and technical analysis. Universal view of all your investments. 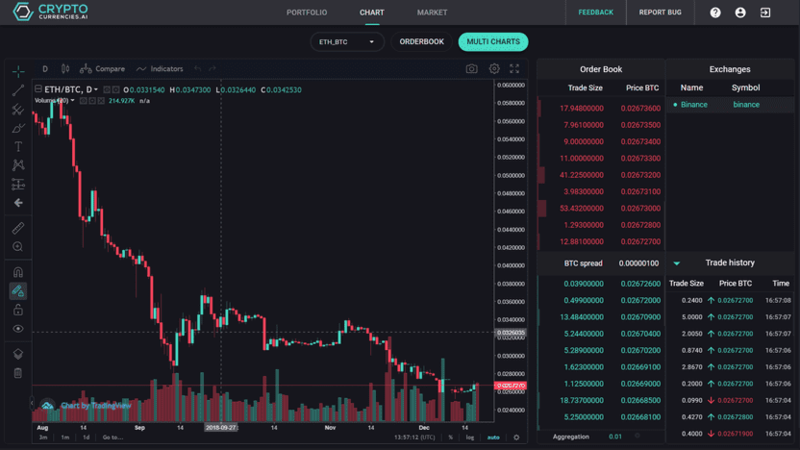 Connect your exchange accounts and blockchain wallets. 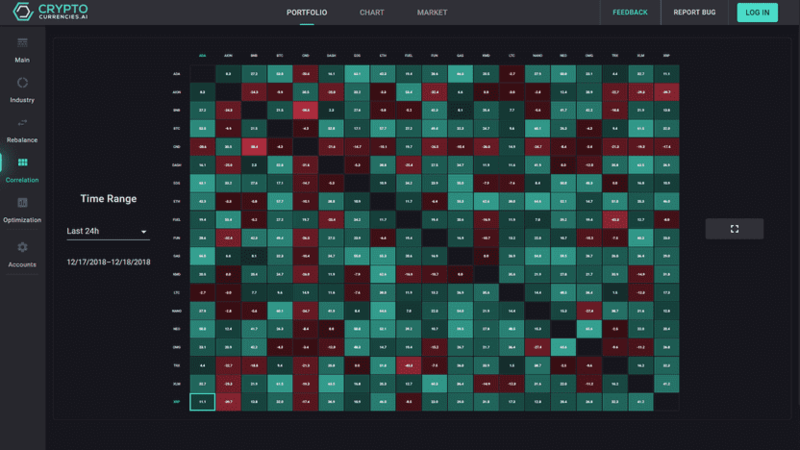 Rebalance your portfolio with just a few clicks. Allocate capital from one asset to another. 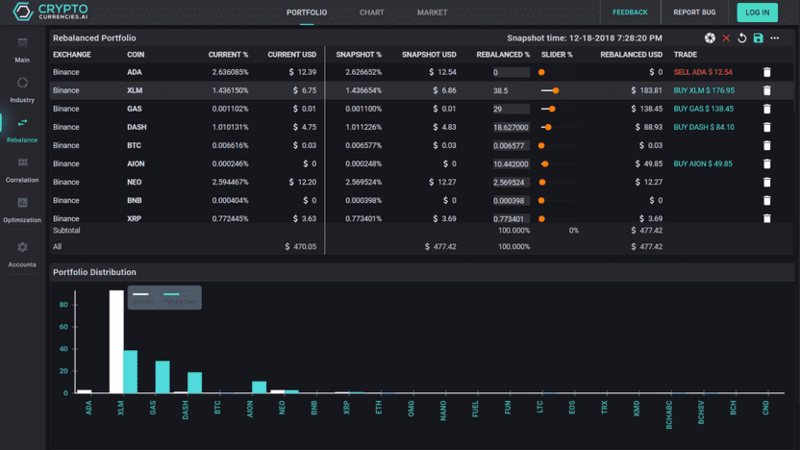 Risk analysis for portfolio diversification. Analyze industry performances you are invested in and the correlation of your assets across various time intervals. 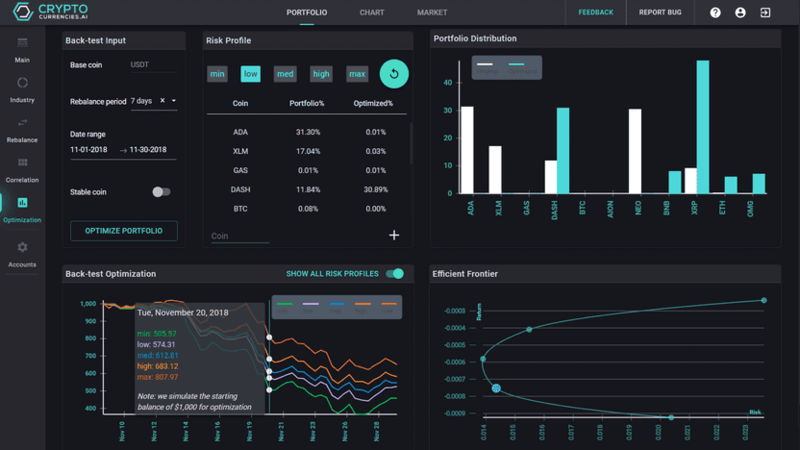 Back-test our proprietary optimization model, select your risk profile and get an optimized portfolio. Technical charts Select a single chart or use multi-chart option to open up to 8 charts. Launch our beta now and feel empowered with the right tools.